Hi all, I know it’s been a long while! I’m coming back to my blog starting with this post about my current system. My system is inspired by David Allen’s Getting Things Done and @decadethirty on IG. I’ll cover this in more details in a future post (with pictures). 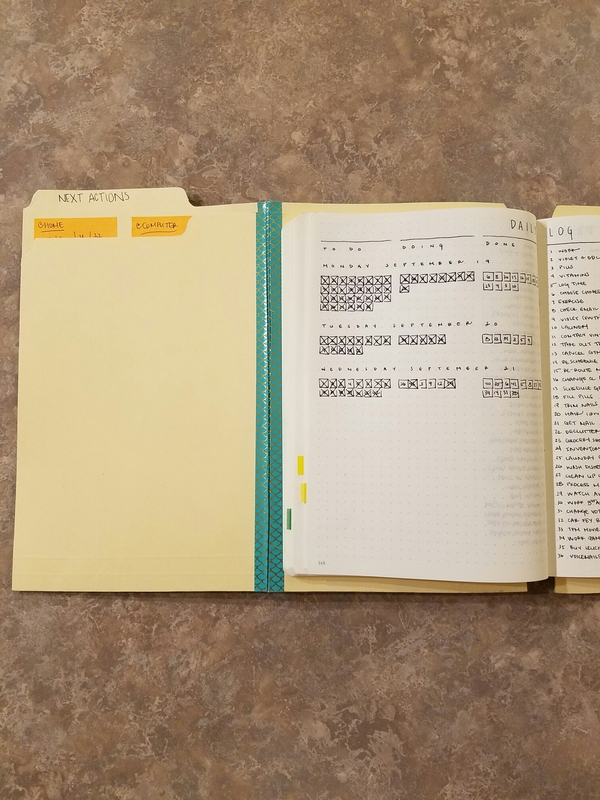 For now, just know that the Future Log and Monthly Log only contain Day-specific and time-specific items (to follow the GTD Calendar standards). 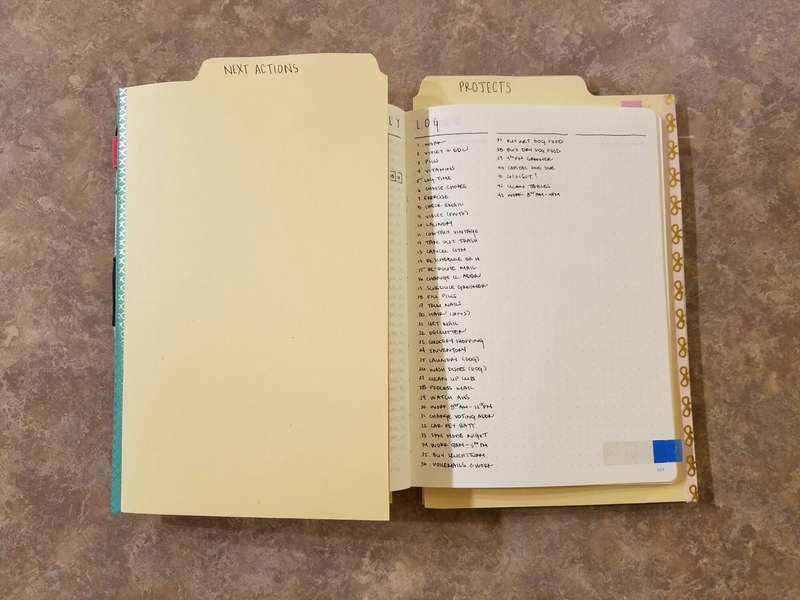 In GTD, all you need are folders and lists. 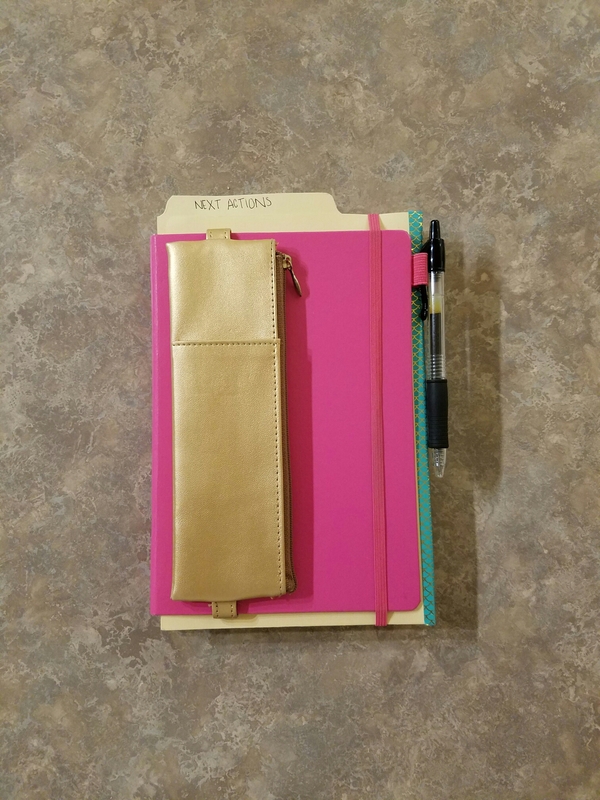 Lists already work well in my BuJo, but I don’t want to carry around separately a bunch of folders. Here’s my solution. 1. 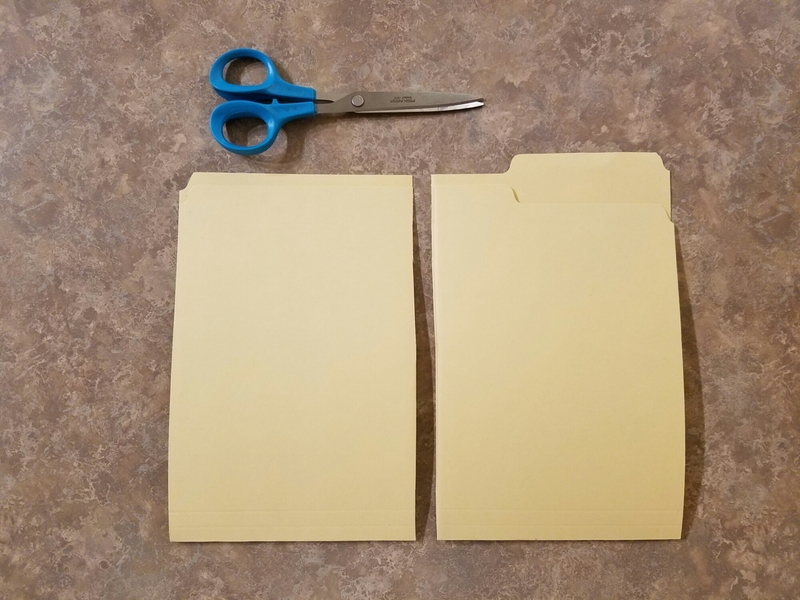 Get a standard letter-sized file folder and cut it in half. 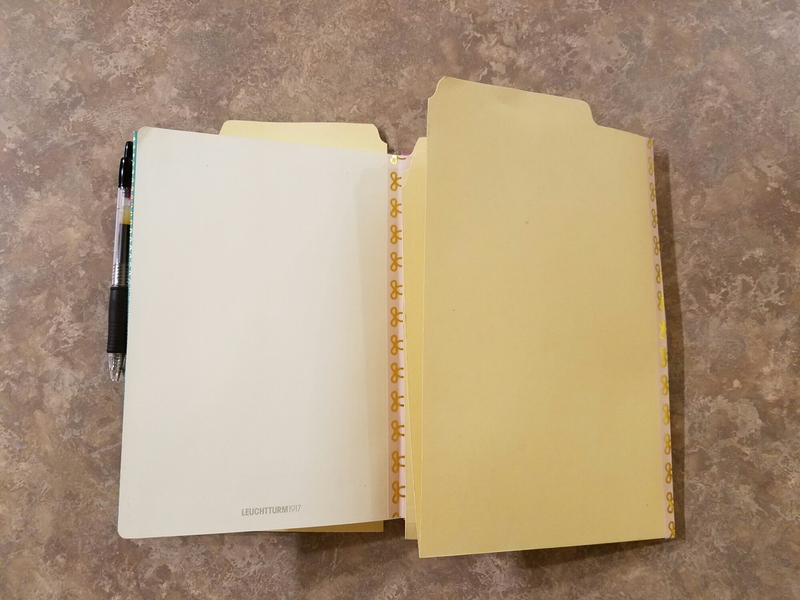 Note: If you want the folder to be on the left side when you open your BuJo, use a folder with a left-side tab. Right Side, right tab. 2. Open both halves and push them together, leaving a few millimeters of space between them. 3. 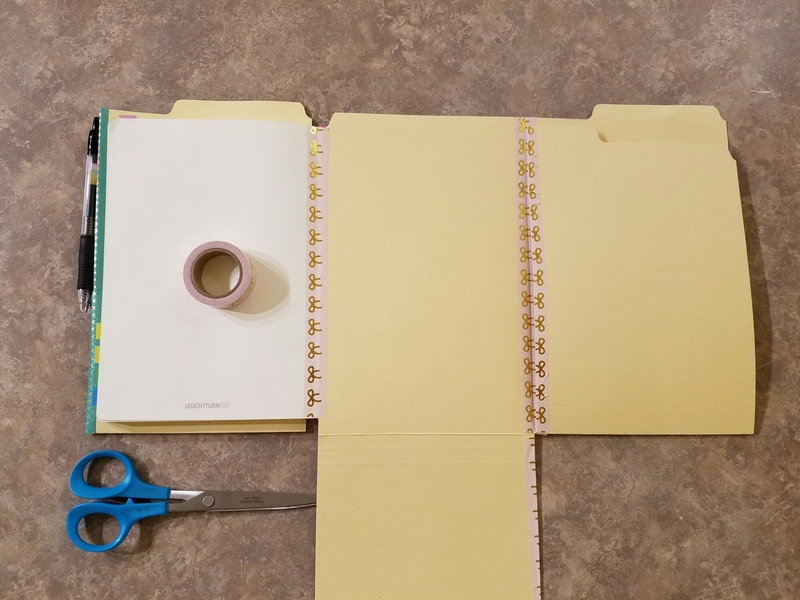 Tape the top half of the folders, above the fold. Do this in the back and front. 4. 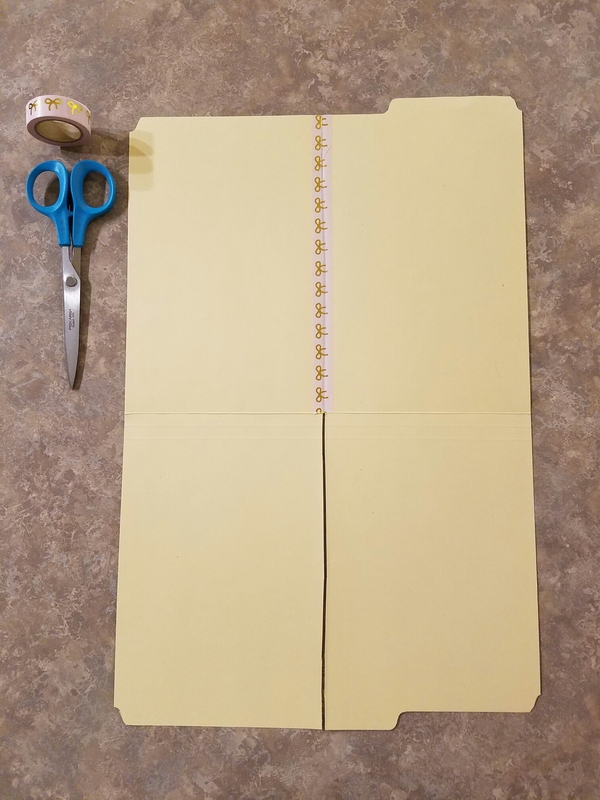 Optionally, you can tape both sides of the openings of the bottom half of the folder to keep them from fraying. Do not tape the two halves together here. 5. 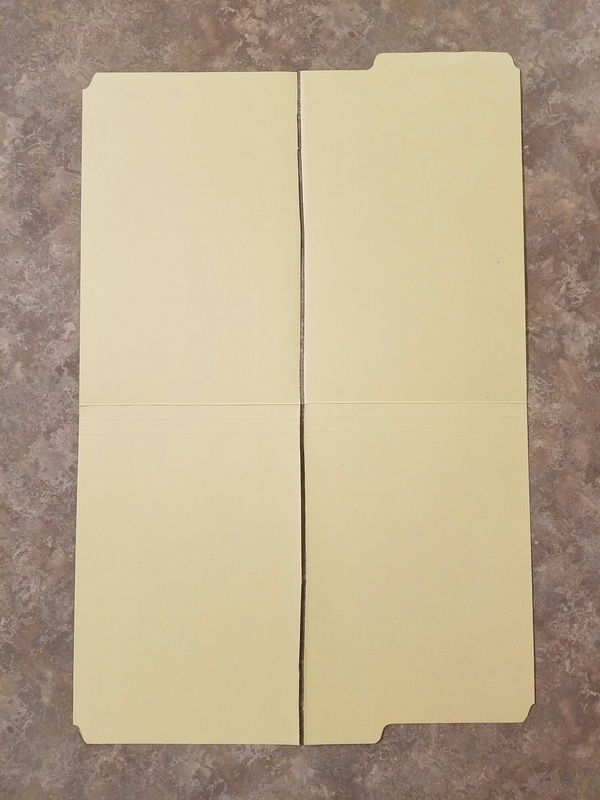 The two flaps should be able to fold up and down like above. Check this before continuing. 6. 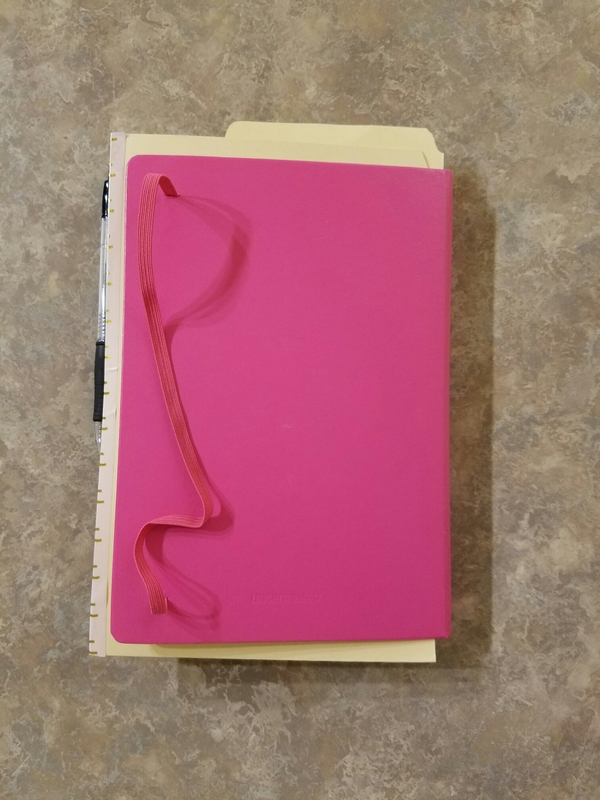 Turn to either the front cover of your BuJo or back cover, depending on the orientation of your tab. 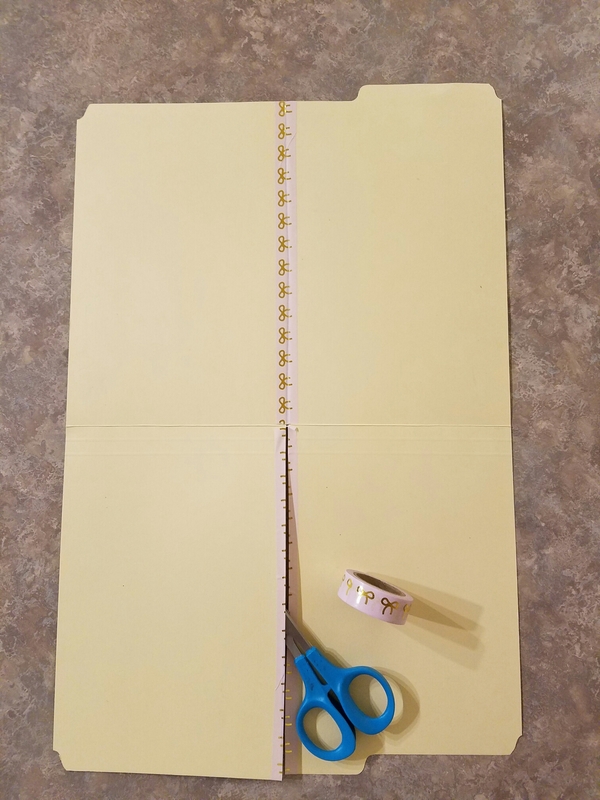 Opening the inside flap, tape your folder in the crease of your BuJo. 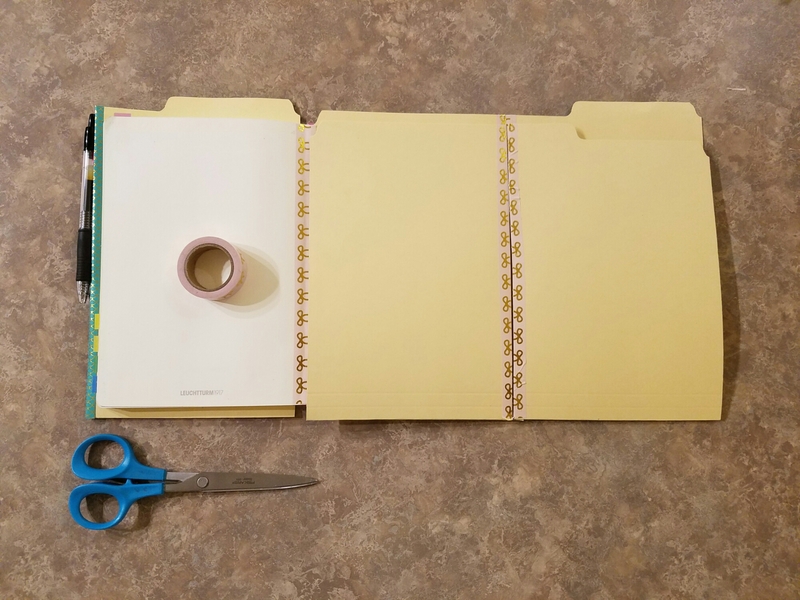 Remember to leave a little bit of space between your folders edge and your BuJo’s crease so your folder doesn’t have trouble folding. 7. 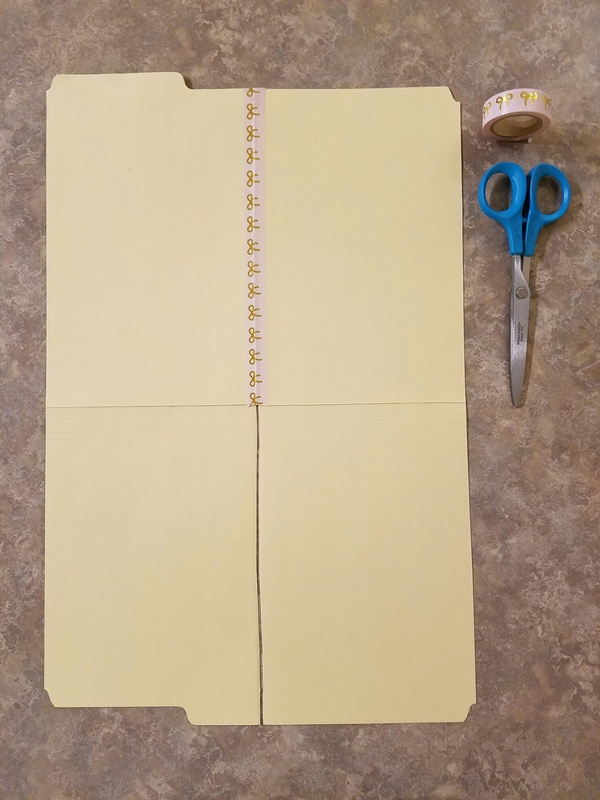 And now you can fold it up and close your BuJo. Tada! 8. 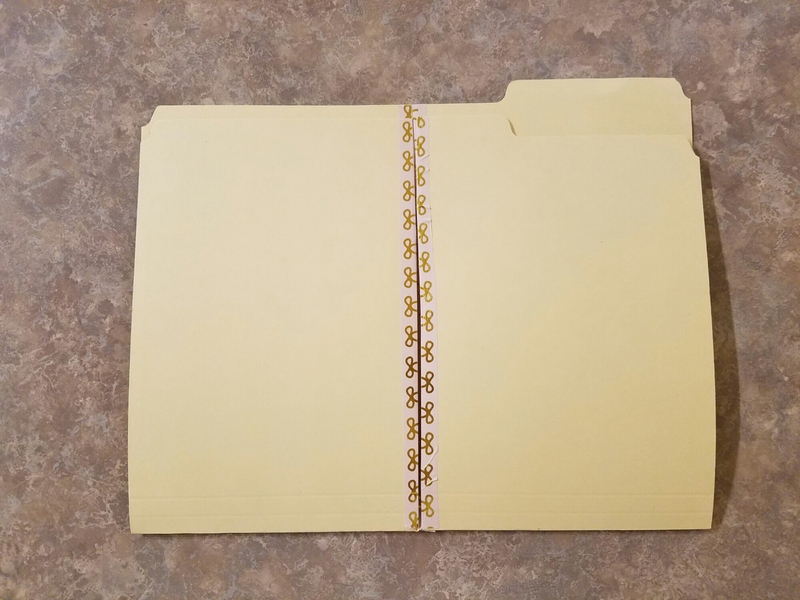 Optional: Label your folders. 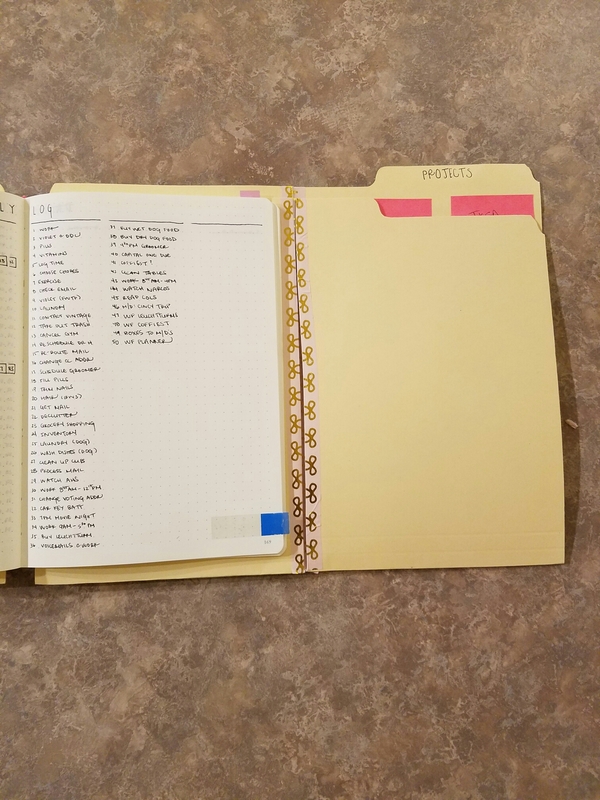 I suggest you label both the front and back of the folder tab so you can see the label when your BuJo is both closee and opened. 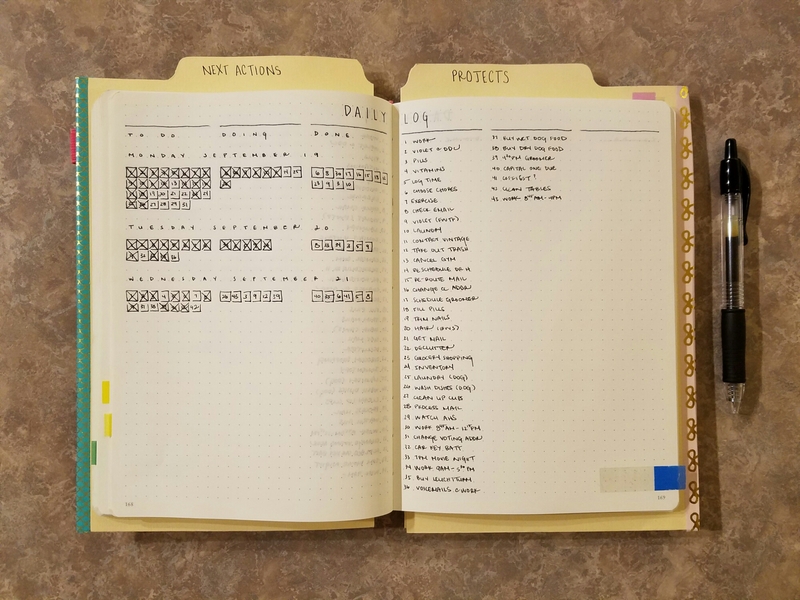 I have 2 folders in my BuJo. The one attached to the front inside cover is “Next Actions”. 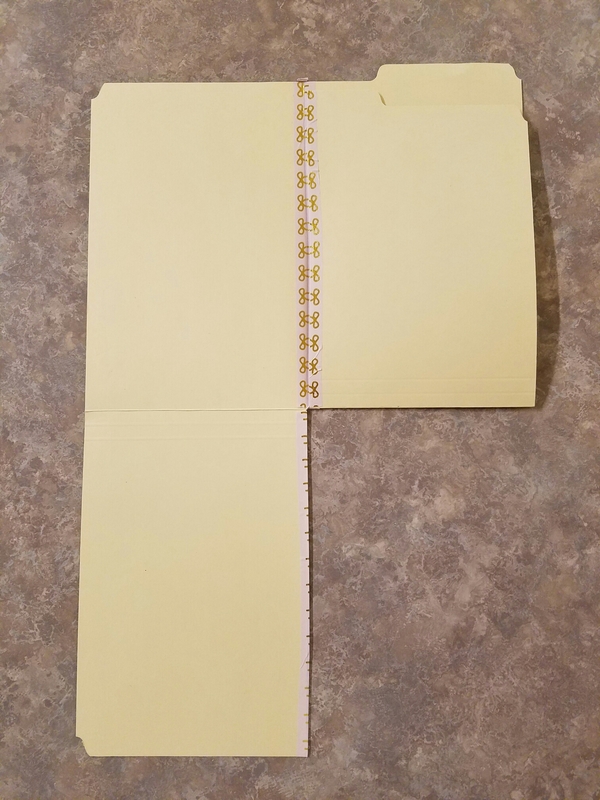 The one attached to the back inside cover is “Projects”. 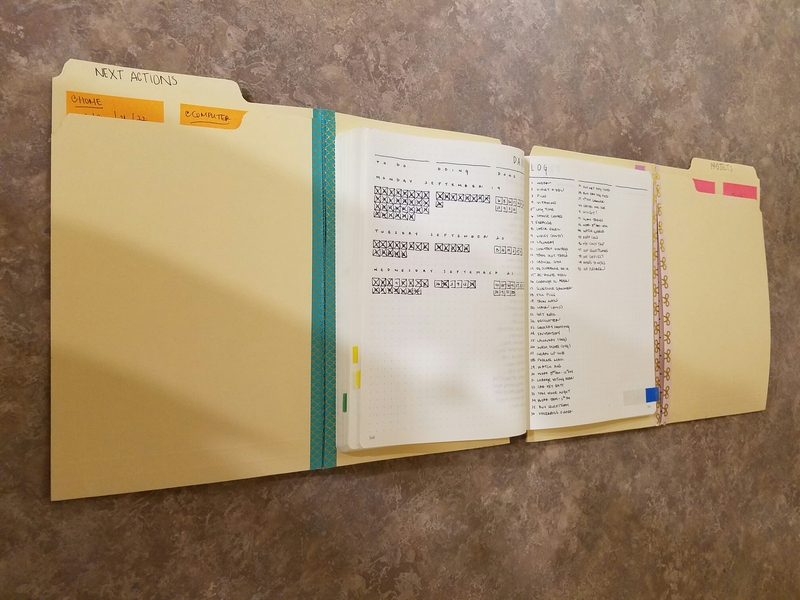 Here’s a few pictures detailing how I can use the folders alongside my Daily Log. Next Actions opened (more on this later). Can possibly use either folder as a bookmark, too. You my have noticed my Daily Log and Next Actions. I’ll explain about my Daily Log in more detail later, but basically I adapted a method illustrated on the IG of @decadethirty, that she adapted from Calendex and Strikethru. More to come on that. My Next Actions piggy-backs off the Daily Log system, so more on that later, too. I hope you enjoyed my comeback post! I’ll keep you guys updated! This is really awesome, thanks for sharing. I’m still trying to work out how to run GTD in a paper based journal system, and your posts have been really helpful. I love your blog and have used most of your ideas in my first attempt to use the bullet format for 2017. Leverage post-its is ingenious. However, this seems to have crossed over into unworkability with all the extra material. I can’t see it being physically robust over a year’s time period for example. The goal seems very laudable though. 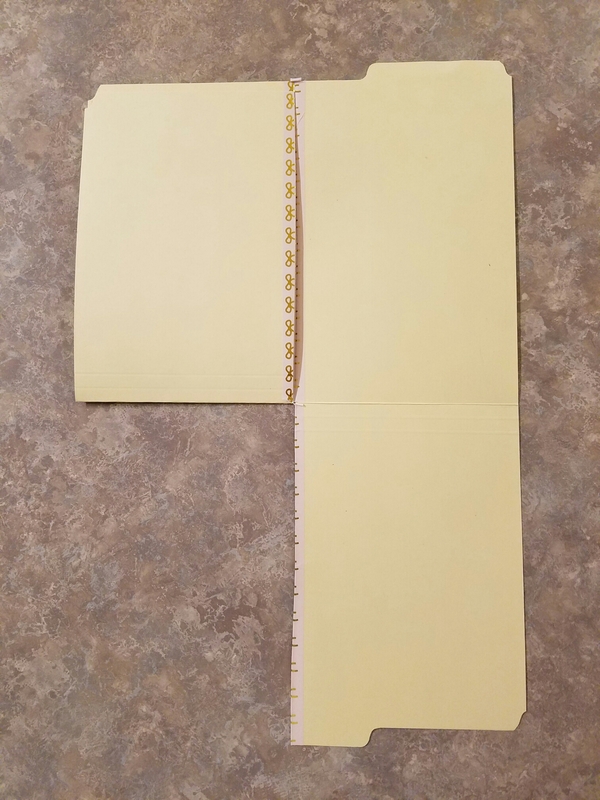 A thought I had is that even though there may not be enough space, why couldn’t you use the inside of the front and back flaps of the log book you are using (I’m using cheap Walmart 5 square per inch graph paper composition books) and use the smaller 1×2 inch post-its and just write smaller? 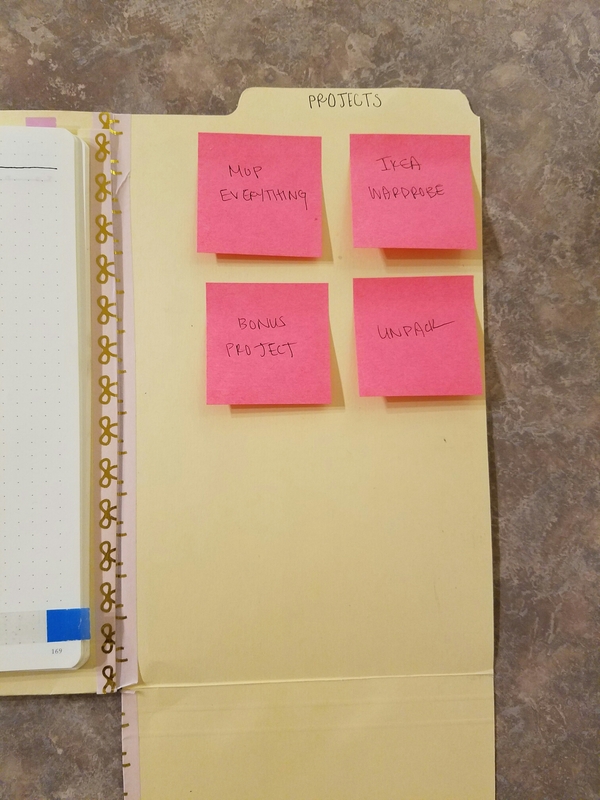 Be interested In knowing more about the ins and outs of those project sticky tabs and next action sticky tabs. 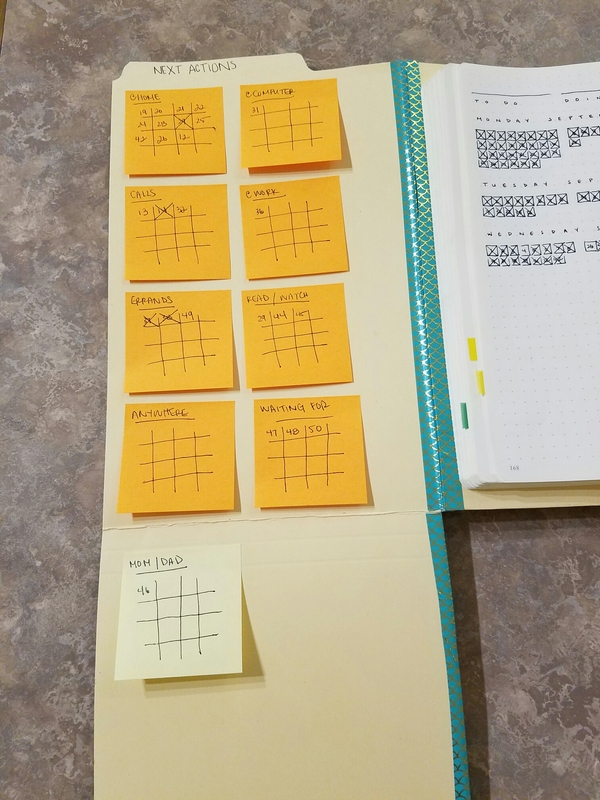 Specifically what the notes represent and where they are further referenced in your journal?